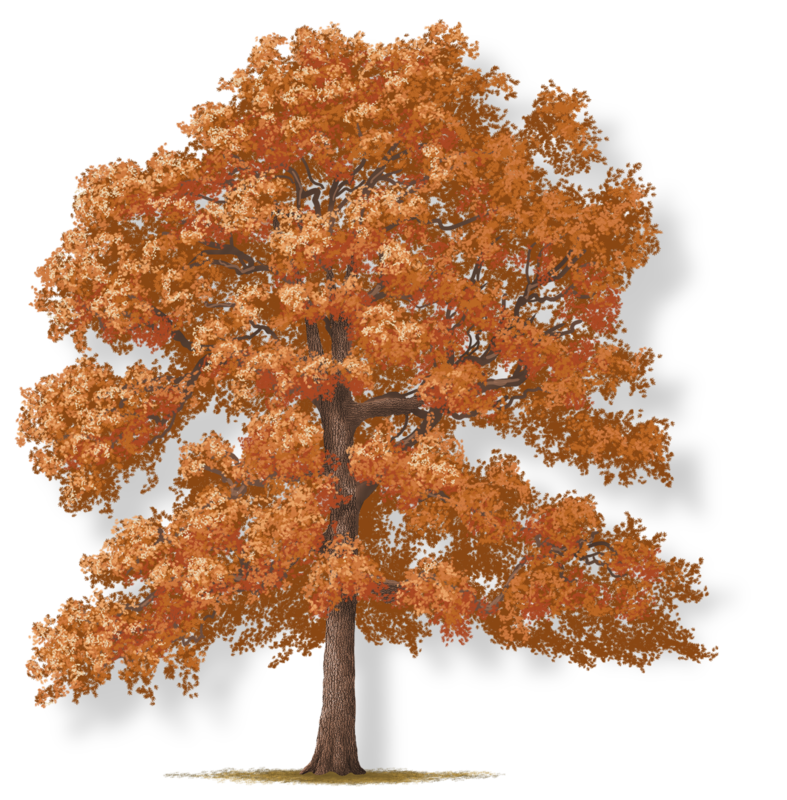 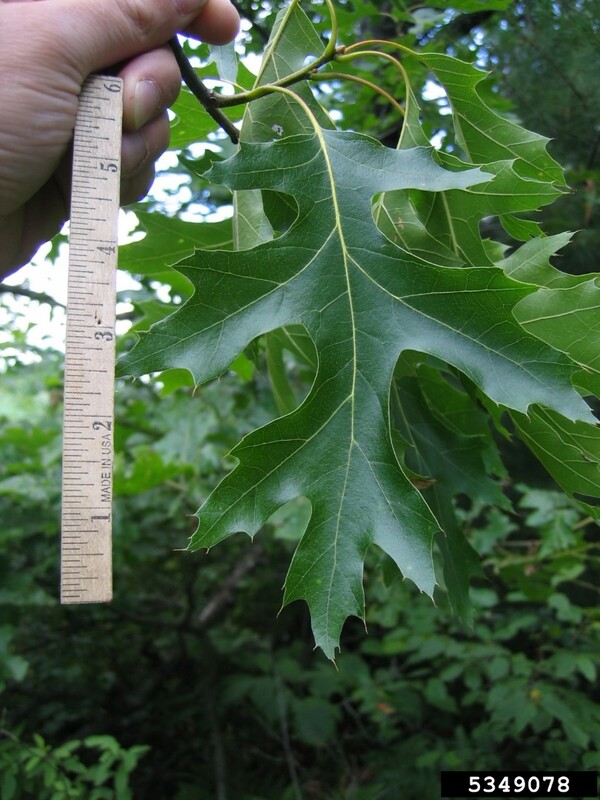 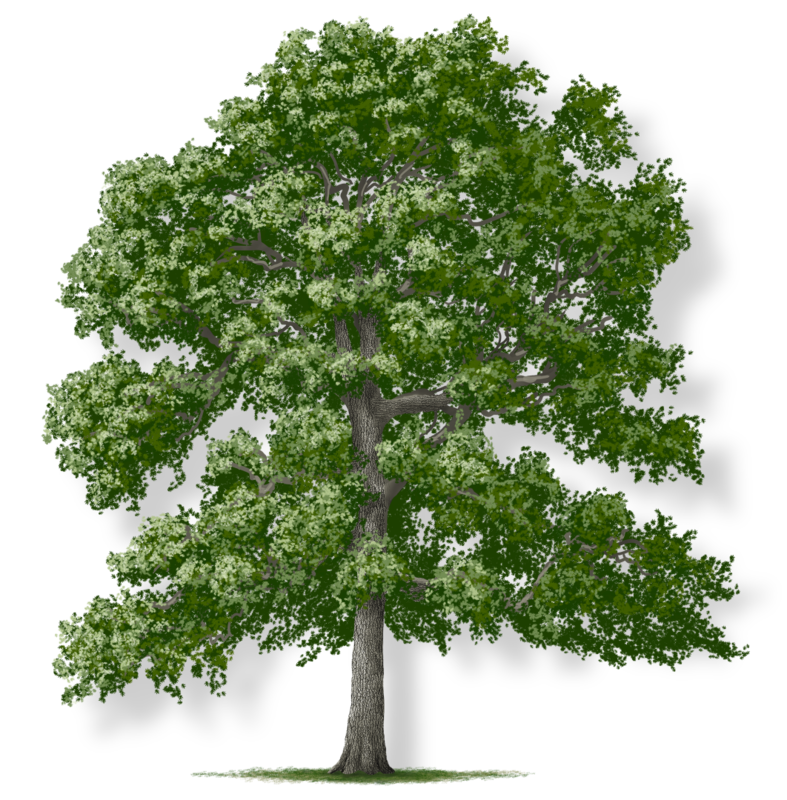 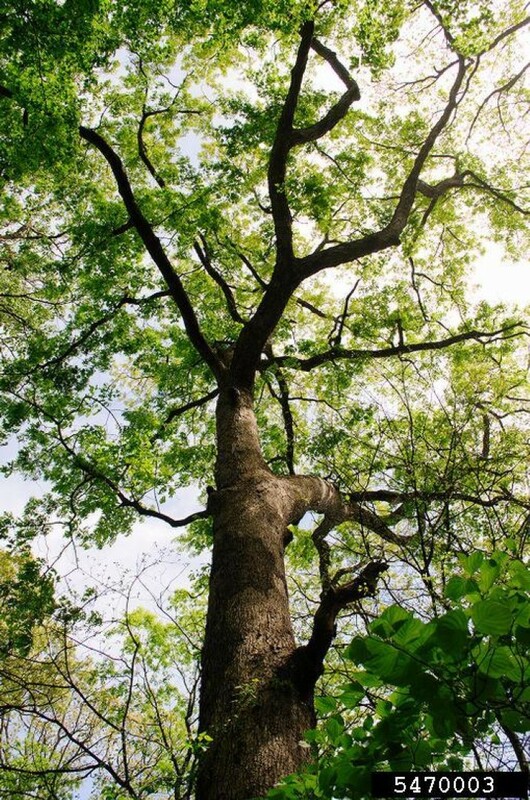 The black oak is well adapted for dry sites and poor soils. 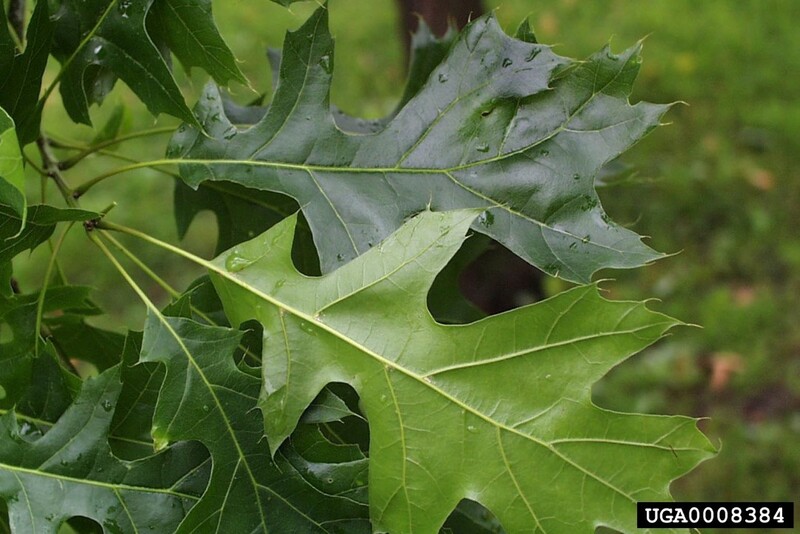 Its leaves are lustrous, shiny green above, and paler with scruffy hairs below. 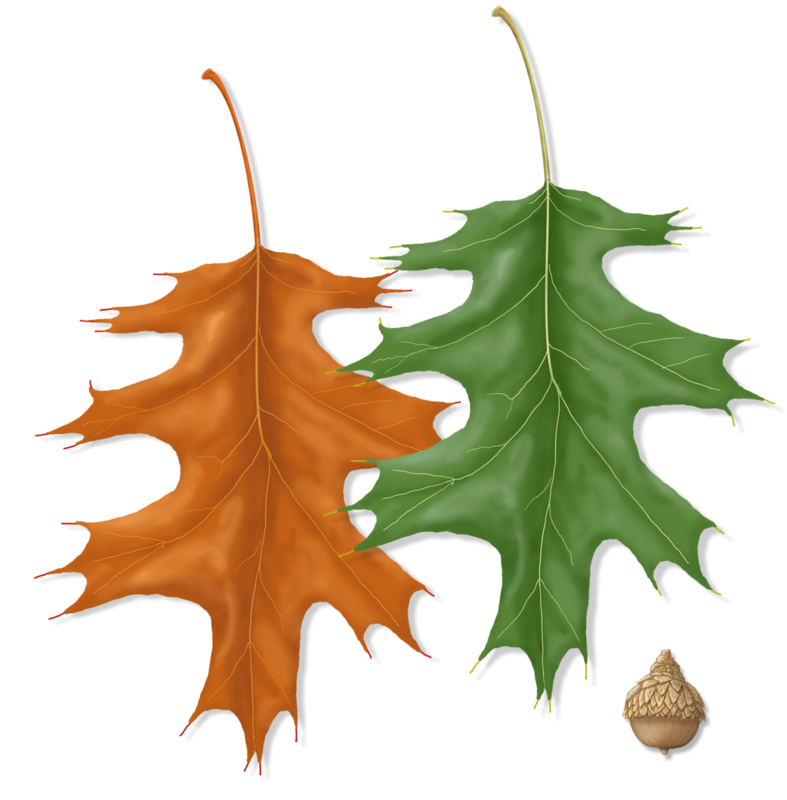 The leaves turn yellow and brown each fall. 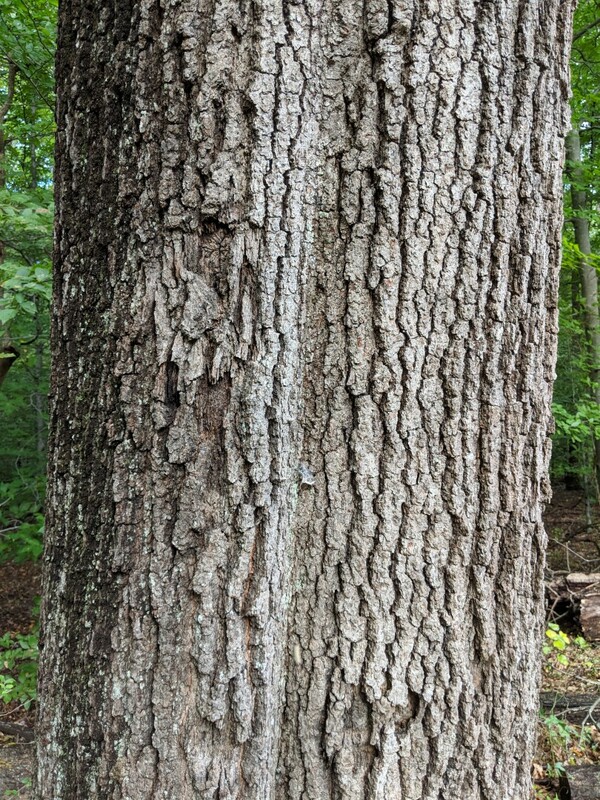 Black oak trees have dark, scaly bark that is nearly black, adding a stark contrast to winter greys.